In the March 27, 1966 edition of The Seattle Times, the better part of page 15E covered the announcement by United Homes and Sherwood Development Co. that the two companies had joined forces to develop a $50 million planned community near Maple Valley, including a championship-level golf course, shopping center, and clubhouse over 750 acres. 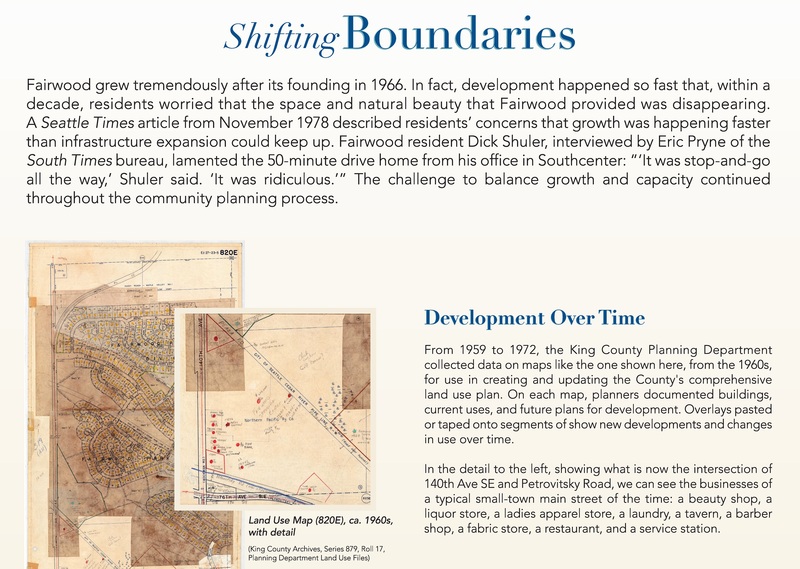 The area soon to be called Fairwood initially had 1800 homes and advertised the neighborhood as the ideal combination of luxurious amenities and proximity to nature and recreation. 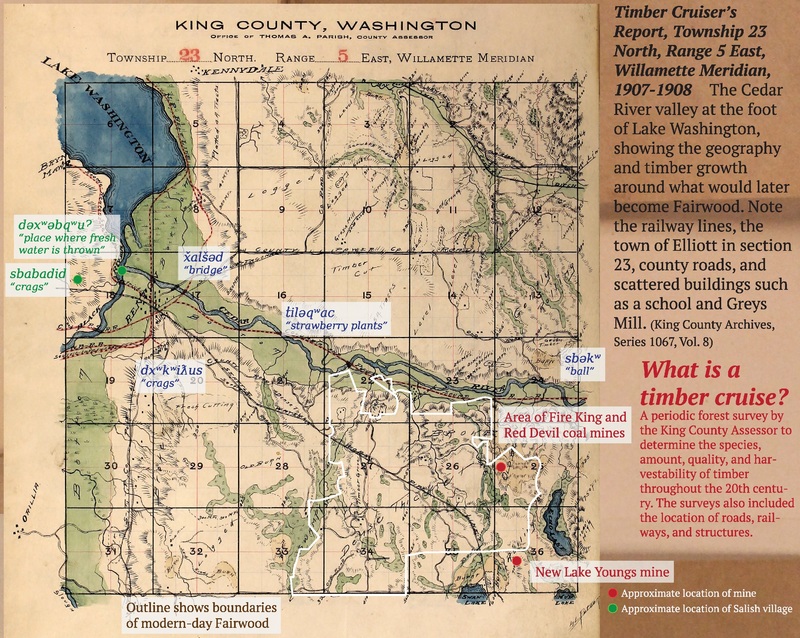 Over the years, Fairwood has grown into a diverse, independent community in unincorporated King County, built around its verdant parks, 20,000 sq. ft. Fairwood Library, and the Cedar River Trail. Fairwood is celebrating its 50th anniversary this summer. Represented by King County Councilmember Reagan Dunn, the celebration culminates in a festival on Saturday, August 27 at Petrovitsky Park, hosted by King County Parks and Councilmember Dunn, who also commissioned a display of Fairwood history from the King County Archives, to be displayed around Fairwood during the month of August. Using historical materials from the Archives alongside news articles, property records, and local keepsakes collected by Fairwood residents, Archives staff created three 7-foot panels, each detailing a different era of area history: the Cedar River valley and the people who called it home in the 19th and early 20th Centuries; the founding of Fairwood and how residents built their community; and the questions facing Fairwood citizens today. 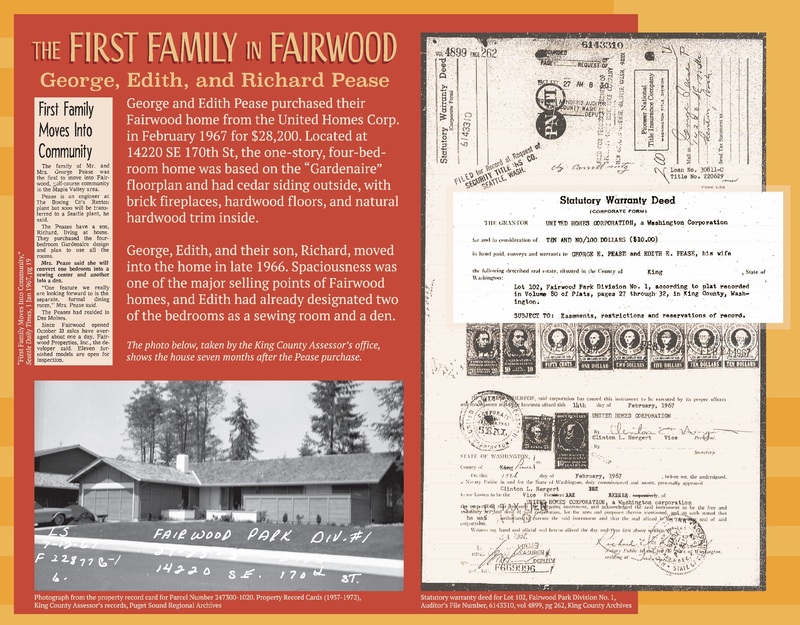 Below are a few selections from the exhibit, or see it for yourself in Fairwood while celebrating this milestone! The Archives would like to acknowledge the indispensable assistance of those who provided additional materials for this display: Fred Gurney and Laurie Finlayson at the Fairwood Library; Councilmember Reagan Dunn and his staff; the Renton History Museum; King County Parks; and the Museum of History and Industry (MOHAI).